Hotel, Party,Cocktail Decorate，Pick Up Food,Takeaway Shop,cafe,Salad,etc. 1 . Decorative Food Toothpicks made of 100% natural and sustainable harvested Bamboo and wood ,No chemicals, toxins, or glazes. 2 . 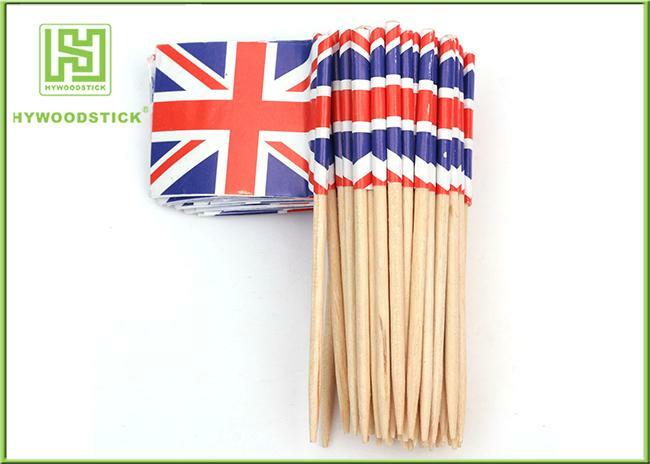 Standard packing of Decorative Food Toothpicks is 100pcs/bag,100bags/ctn or as per clients' request. We provide the individual packing with semi-closed OPP bags, paper sleeve, paper box etc. Personalized design and LOGO are workable. 4 . Hard and not easy to break. Food grade. Round, easily-cleaned,odorless,taste-free,sterile,Eco-friendly,well polished and smooth surface. 2 . Competitive price bases on quantity and famous in oversea service.Direct factory sell, professional manufacturing with 14 years experience.Already exported to many countries. 1 . 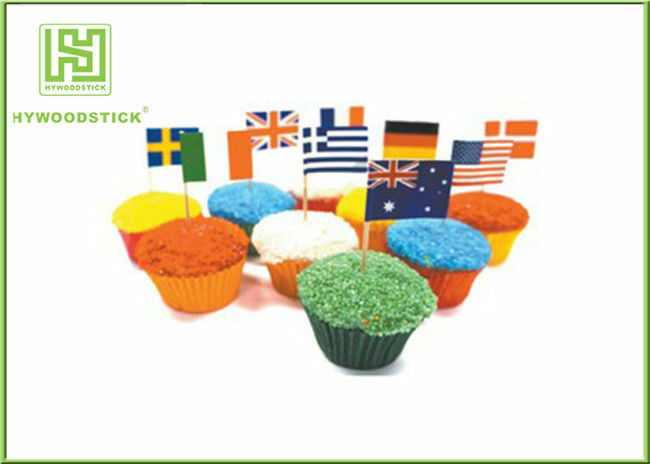 Our Decorative Food Toothpicks can use to decorate and pick up food,can supply to food manufacturer,Cake shop,Take-away food shop,Bar, Supermarket,Hotel and so on. 2 . Use to family picnic, to share the happy time. 3 . Use to decorate food. With variety shape and size, it not only can pick up foods but also can decorate food, make food looks more beautiful. 4 . Use to hand DIY craft sticks. It is can use to DIY Bamboo house mold ,DIY decorate items, teaching children math,and so on.